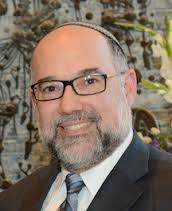 Rabbi Leonard A. Matanky has served as the Rabbi of Congregation KINS of West Rogers Park since 1994, and Dean of Ida Crown Jewish Academy since 1995. A native Chicagoan, he was ordained and received a Masters degree in Religious Education in 1981 from the Hebrew Theological College, a Masters degree in Educational Administration from Loyola University in 1982, and a Ph.D. from the Graduate School of Arts and Sciences, New York University, in 1989. Rabbi Matanky is married to Margaret (Novick), and the father of seven children, Yaakov, z”l, Chani (Rabbi Yehuda) Isenberg, Raanana (Reuven) Stein, Shoshana (Benjamin) Neikrug, Yitzchak (Aviva), Avi and Elisheva; and the grandfather of fifteen.